With the aim of generating more awareness around cyberbullying and supporting the youth dealing with cyberbullying this Youth Day, Kaspersky Lab has shared some interesting research about the online activity of children. They’ve included some tips on protecting your child online and there’s an opportunity to win one of two Kaspersky Total Security. For example, the report presents search results on the ten most-popular languages* for the last six months. The data shows that the video and audio category – including requests related to any video content, streaming services, video bloggers, series and movies – are the most regularly ‘googled’ by children (17% of the total requests). The second and third places go to translation (14%) and communication (10%) websites respectively. Interestingly, games websites sit in fourth place, generating only 9% of the total search requests. As well as analysing searches, the report also looks into which websites children visit or attempt to visit that contain potentially harmful content which falls under one of the 14 preset categories** for the last 12 months. The data shows that communication sites (such as social media, messengers, or emails) were the most popular pages visited by computers with parental controls switched on – with users in South Africa visiting these sites in 69% of cases over the previous 12 months. However, the percentage for this category is dropping every year as mobile devices continue to play a bigger role in children’s online activities. The second most popular category of websites visited in South Africa by these users is “software, audio, and video. In South Africa, this category accounted for 17%. Websites with this content have become significantly more popular since last year, when it was only the fifth most popular category globally at 6%. The top four is rounded off with electronic commerce (4.2%) and alcohol, tobacco, and websites about narcotics (3.9%), which is a new addition compared to this time last year. The mobile trend is again highlighted in the figures for computer games, which are now in fifth place locally on the list at 3%. As kids continue to show a preference for mobile games rather than computer games, this category will only continue to decrease in popularity on computers over the coming months and years. “No matter what they are doing online, it is important for parents not to leave their children’s digital activities unattended, because there’s a big difference between care and obtrusiveness. While it is important to trust your children and educate them about how to behave safely online, even your good advice cannot protect them from something unexpectedly showing up on the screen. That’s why advanced security solutions are key to ensuring children have positive online experiences, rather than harmful ones,” adds Anna Larkina. The Kaspersky Total Security and Kaspersky Internet Security consumer solutions include a Parental Control module to help adults protect their children against online threats and block sites or apps containing inappropriate content. In turn, the Kaspersky Safe Kids solution allows parents to monitor what their children do, see or search for online across all devices, including mobile devices, and offers useful advice on how to help children behave safely online. Do you find yourself worrying about how safe your kids are online and if you are doing enough to protect them? As children become more engaged in the online world with the evolution of technology, they could potentially face numerous threats – including cyberbullying. 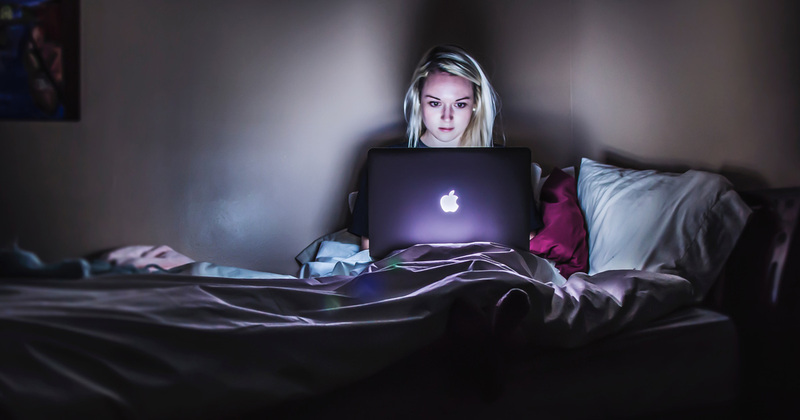 The question every parent asks is, ‘how do I protect my children on the internet?’ And, as society is rapidly connecting online more, the prospective threats become even more daunting for parents. Youth Day provides the perfect opportunity to raise awareness around the online dangers our children can be exposed to, and how we can go about ensuring they are protected. While parenting can be stressful, online protection shouldn’t be! Kaspersky Lab provide the below tips for parents and are also offering readers the chance to win 1 of 2 Kaspersky Total Security products – that can be used to help keep the devices your children use to connect online, protected. Talk to children about the potential dangers that they may face online while using the internet – and the need for internet safety. Encourage children to talk to you about anything they may experience online that upsets them, or that makes them feel uncomfortable – and talk to them openly about cyberbullying. Start to apply parental controls/boundaries for a child’s first gadget/device, to protect them from coming across any harmful websites. Just as you would teach children to not talk to a stranger in real life, teach them to not talk to strangers online. Tell them that strangers can use the online world to connect with them and lure them into harmful situations. Make it a rule with children to not share personal information online – such as phone number(s), school information, or a home address. Q: Name one feature of the Kaspersky Total Security solution. Entries close on 22nd June 2018. Winners will be notified in person. Nice thanks Gadget-Gal. I aim to participate. Keeps children safe from drug addiction like inappropriate content & helps you manage use of social networks. the Kaspersky Safe Kids solution allows parents to monitor what their children do, see or search for online across all devices, including mobile devices, and offers useful advice on how to help children behave safely online. A feature of Kaspersky security is the Kaspersky Safe Kids & Parental control solution. This helps parents prevent their children from unwanted online dangers. This is a very good feature for modern day as children are always on their phone or iPad/Mac without parental supervision most of the time. A feature of Kaspersky Total Security is File Backup & Encryption. This makes backup copies of photos, music & files and encrypts data on your PC. Thanks for this nice giveaway dear Gadget-Gal. One feature of Kaspersky Total security is a SECURE PASSWORD MANAGER. This securely stores passwords… for easy access from PC, Mac & Mobile. A feature of Kaspersky Total Security solution is Kaspersky Parental control module. This has Kaspersky Safe Kids with it. One feature of Kaspersky Total Solution is Secure password manager. Thank you for the kind give away. We add extra layers of security… to help prevent thieves stealing your family’s money. When a family member clicks to access one of their favorite shopping or banking websites, our unique Safe Money technology checks that the website is secure, ensures your family’s not being tricked by a fake site and then opens the site in a special, protected mode. Name one feature of the Kaspersky Total Security solution. I think the answer is Secure Password manager which is exclusive in Kaspersky Total Security. A feature of Kaspersky total security is the Parental Control module. Thanks for this unique giveaway. Parental Control module to help adults protect their children against online threats and block sites or apps containing inappropriate content. Love this feature. Hello very nice competition. So many thanks. always look after. This helps so many ways. Integrated Secure Password manager is a great feature for Kaspersky security. As a mum to a 3 year old its probably a year or more later I would worry about little Elisabeths internet habit 😛 nevertheless good habit from before is always welcome. The feature I find most useful is the “Parental Control” feature. File Backup & Encryption is a great feature for this security product. It helps to keep backup of important files & photos. This Secure password manager feature is very good in Kaspersky as I can not remember all passwords myself. I also like this Safe Kids feature too. In this page given in here https://www.kaspersky.co.za/total-security I find the Safe Money very interesting feature which can add extra security when shopping or banking online. This would be great. Kaspersky Total Security has many features. The best feature for parents is the Safe Kids, helps safeguard kids online & beyond that. I do worry about my kids safety in online in this current hacking threat climate so this is an excellent initiative by your website with Kaspersky team-up. Thank you so much. One feature of Kaspersky is Safe Kids feature in security solution. This takes the burden & worry of many parents. It helps kids explore & learn in the digital world the right way. Wow great competition there! Please consider my entry too. One feature in Kaspersky total security would be =>> Safe Kids. It is absolutely ideal for parents. Kaspersky Safe Kids is a great feature in Kaspersky Total Security. Its designed in a great way to help parents & general public in order to make online experience safe for kids & young children. It has a Parental control feature inside it so parents can give safe internet to their kids. This is Kaspersky Safe Kids.